Deutz-Fahr will have a full line-up of equipment at LAMMA 2016, including the 7 Series TTV WARRIOR; a 9340 TTV; 6 Series C-Shift; 5 Series; 5 C Series; 5 G Series; Agrovector 33.7; Agrovector 25.7 and a C9206 TSB Combine. Subject to availability, the company also hopes to have its new 6 Series WARRIOR on its main stand. Due to the success of the 7250 WARRIOR, launch earlier this year, Deutz-Fahr has extended the range to include a number of the higher hp 6 Series models – all with a three year warranty. The 6 Series WARRIOR includes many of the features found on the 7 Series such as the distinctive black livery with stainless steel cover over the exhaust, along with a half leather seat and black floor mat. An exclusive LED light package and XENON beacon lamp ensures superior night vision. Like on the 7 Series the new model also has an optional hydraulic top link and space for seven electrical control devices, PowerBeyond connections and an ISOBUS signal socket. 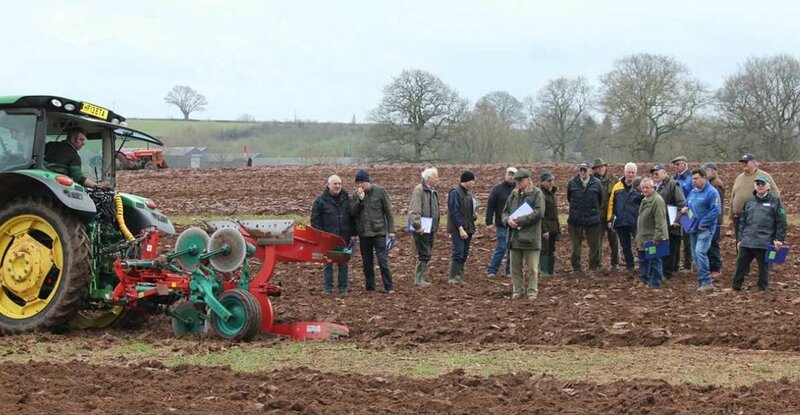 A second stand will feature the company’s merchandise and an Agrosky technology area.